How Far is Jems Subha Omkara? 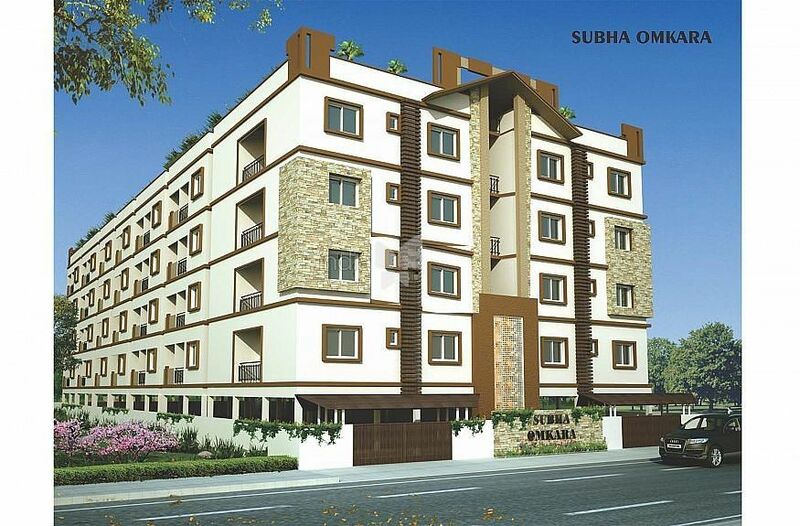 Subha Omkara is situated at Electronic city, about 0.5kms from cyber park. 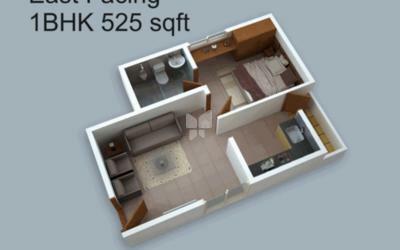 It is built to make a Home with all features seamlessly integrated throughout. Spread over four floors and with stilt parking . 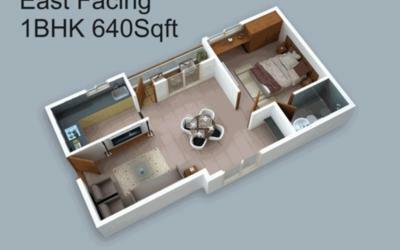 An aaray of 1,2 and 3 BHK apartments, having a super built up area ranging from 525 Sq.ft - 695 Sq.ft for a single bedroom 953 Sq.ft - 965 Sq.ft for a two bedroom and 1325 Sq.ft for a three bedroom flat. The flats are designed and implemented for exclusively and yet harmonious living. There are no Common walls between neighbours, thus ensuring complete privacy. Yet the apartment has been so built to ensure neighbourly interaction that promote safety and a family environment. All the flats are vasthu compliant and facilitate natural lighting. Concrete Solid Block Masonry for internal and external walls. All walls are plastered with Sponge finish. Vitrified Tile for Living, Dining, Bedroom & Kitchen Floorings, anti skid ceramic tile for balconies, utilities & toilets. Teak wood frame with moulded skin shutter for Main Door. Sal wood frame with moulded skin shutter for Internal Doors. Three track powder coated aluminum windows with mosquito mesh and decorative MS safety grille. Ceramic glazed DADO tiles 2 feet above the platform. Ceramic glazed DADO tiles upto 7ft height in bathrooms. Health faucet & Wash Basin for all toilets with provision of exhaust fan. All sanitary ware of reputed brands - parryware or equivalent. Hot & cold water mixer unit and shower fittings of Jaquar continental make or equivalent. Johnson or equivalent make elevator of 8 passenger capacity with granite cladding. Internal walls smooth finish coated with tractor emulsion paint with roller finish. External walls - waterproof cement based paint & texture paint at selective areas. TV, Computer, Internet & Telephone points in the living room & master bedroom. Fire resistant copper wiring of Havells or equivalent make in concealed conduits. Elegant modular switches of Northwest (Wipro) make or equivalent. MCB for each room provided at the main distribution board of each flat. 1Kw backup for each flat and the common area lighting. Jems Infra (JI) Founded by Mrs. Artika Kumar in 2010, JI is one among the trusted Real Estate consultant in Bangalore. JI provided end to end exclusive service and support to the real estate developers and the promoters for their project planning to the handover stage to their buyers. JI support them for marketing strategy, sales, branding, advertising that create new era for them in the real estate industry. JI help them to grow in joint hand. Their customer relationship manager has come with vision to be most admired realty consultant in Market and so JI Provide the path to the builders to create success in their business. JI has having an experience in near to a decade’s in this industry. We have successfully launched near brand Subha builder and they received a great response.